The Future of the Aquarium Trade: What Will YOU Do? When you think of how aquarium fish are caught, you might be reminded of the scene from Finding Nemo, where the main characters are struggling against a fisherman’s net. However, one cannot catch aquarium fish the same way as how one may catch fish for eating. Aquarium fish are prized because of their colorful bodies and unique morphologies. To preserve these aspects of the fish, harvesters can’t risk damaging them, and their economic value, with clunky nets. Instead they turn to more insidious methods, like cyanide. Around 90 percent of all imported aquarium fish in the U.S are caught with cyanide, according to a 2008 report from the National Oceanic and Atmospheric Administration1. This is especially concerning, because cyanide is a highly toxic chemical compound that not only harms fish health, but also devastates the reef environment on which the fish reside. Fish collectors in the aquarium trade capitals of the world (like the Philippines, Sri Lanka, and Indonesia) crush sodium cyanide and dissolve it in spray bottles which they then use to stun fish. Once, the fish are stunned, they can then easily be collected. However it is not as simple as that. Fish will suffer greatly as the cyanide comes into effect—gasping as they lose respiratory activity, quite a number of the fish will die before they can even be sold3. The cyanide pollutes the coral reef and causes coral bleaching or even, in cases of high doses, immediately kills the coral2. 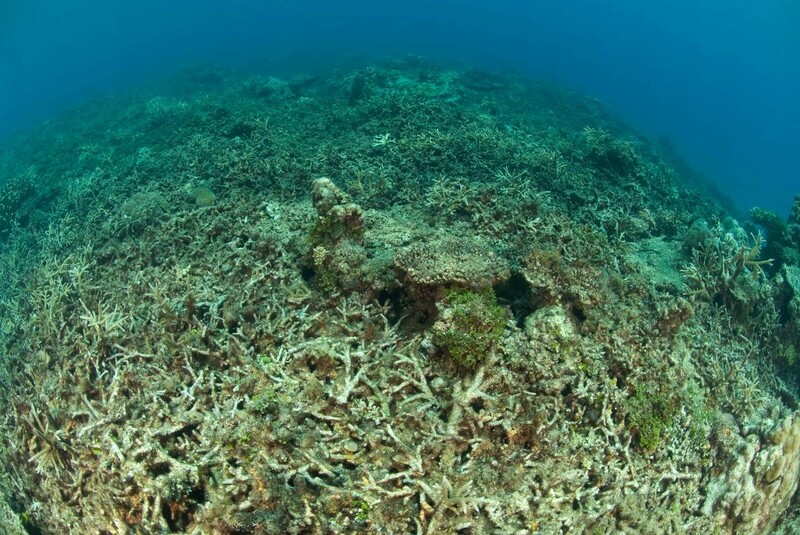 According to biologist Sam Mamauag from the International Marine Life Alliance, “each live fish caught with cyanide destroys about a square yard of coral1.” Over prolonged misuse of cyanide, many of our coral reefs may become compromised beyond any hope for repair. 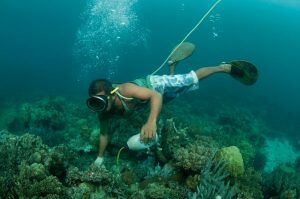 Considering the importance of coral reefs to our international economy and culture, as I discussed in previous blog posts, this excessive use of cyanide can be a serious threat to coral reefs’, and therefore our, future livelihood. So what are some solutions to these unsustainable and environmentally unfriendly fishing practices? First off, standardized and more strictly enforced legislation should be implemented. Although global laws on the aquarium trade are getting better, they are still not fully carried out everywhere. The Philippines, Sri Lanka, and Indonesia have all banned cyanide fishing, yet it still happens on a large scale1. A new petition calls on the National Marine Fisheries Service, U.S. Customs and Border Protection, and U.S. Fish and Wildlife Service to use already existing legislation to require stricter testing of imported fish for cyanide fishing. Secondly, and perhaps a quicker method, is the aquaculture industry. 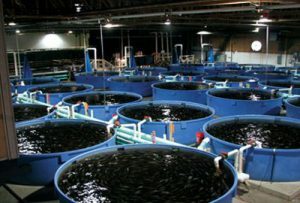 In recent years, aquaculture has been proposed as a (at least partial) solution to the devastation of the aquarium trade. With current aquaculture technology, only a handful of marine fish can be successfully bred in captivity3. Marine Ornamental fish aquaculture mostly uses a completely closed tank culture, although freshwater ornamental fish aquaculture practices also include using ponds, or in cages in ponds3. One reason for the limited number of ornamental fish aquaculture facilities is that only developed countries have the required financial support and adequate infrastructure to support aquaculture. In the future, more research and resources given to aquaculture could be a sound alternative to the harmful fishing practices currently in play3. Understandably, it will be a long and arduous road to globally enforcing aquarium collection laws and finding solid alternatives to aggressive fishing. However, as a voter, you can make an impact by politically advocating for further action on preserving our marine environments. This could be through protesting, disseminating further information or even just letting everyone you know why it matters. With the connectivity of the world through the internet these days, you could start a petition about a deficiency you see in the system, which even if it doesn’t result if codified legislation, it can always raise more awareness and discussion about the issue. Other possible conduits for change could but through writing blog posts, podcasts, art or music. Whatever method you choose, just go out there and do it! Change starts with YOU. 1 Bale, Rachael. “The Horrendous Way Fish are Captured for Your Aquarium—With Cyanide.” National Geographic. National Geographic Society, 14 Apr. 2017. Web. 20 Apr. 2017. <http://news.nationalgeographic.com/2016/03/160310-aquarium-saltwater-tropical-fish-cyanide-coral-reefs/>. 2 Reksodihardjo-Lilley, Gayatri, and Ron Lilley. “Towards a sustainable marine aquarium trade: An Indonesian perspective.” SPC Live Reef Fish Information Bulletin 17 (2007): 11-19. SPC. Web. 20 April. 2017. 3 Tlusty, Michael. “The benefits and risks of aquacultural production for the aquarium trade.” Aquaculture 205.3 (2002): 203-219. Science Direct. Web. 20 April. 2017. This entry was posted in Uncategorized and tagged 2017, aquaculture, aquarium trade, cyanide, Jennifer, legislation, ornamental fish. Bookmark the permalink.